The Cimone, 2165 meters high, 70 kilometres south of Modena, is not only the highest mountain in the northern Apennines, but the most popular ski resort in the Apennines of Tuscany and Emilia, one of the most fully equipped in Italy, as for winter sports plants and related services. 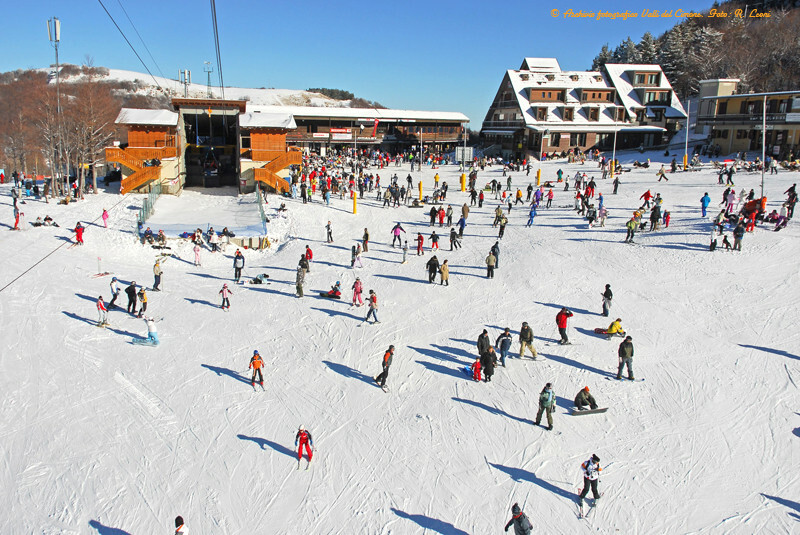 More than 50 km linked slopes accessible by a unique ski pass, 31 slopes, 21 ski lifts and more than 50 ski trainers.Snow is granted by a modern programmed snowmaking system covering almost 2/3 of the skiing area. During the last years, Cimone has become a real paradise for snowboarders, with 2 snow parks in Pian Cavallaro and Cimoncino, equipped with half-pipe, fun, box and big air.